Online video has become the medium of choice in the digital marketing world. Together, Facebook and Snapchat rack up 8 billion daily video views. Jumping on this online video marketing bandwagon can be a daunting affair though. 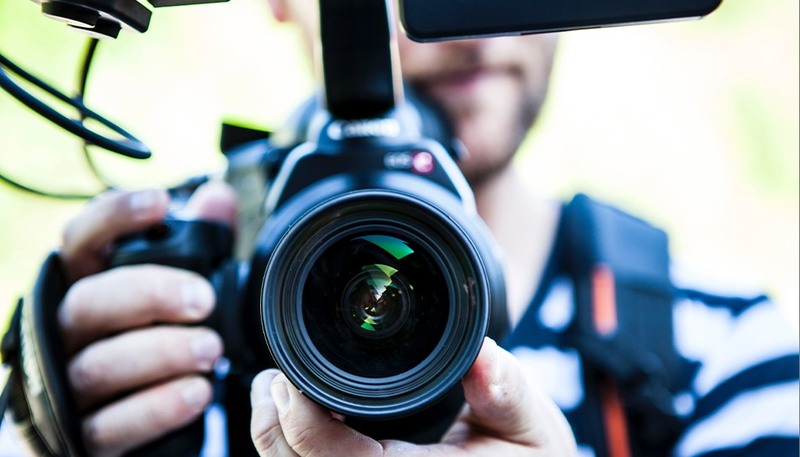 Many businesses are put off by the prospect of investing in an unfamiliar medium and having to produce regular video content. However,, ignoring video altogether could mean letting your competition get ahead of the curve. In this article I want to give some do’s and don’ts on creating videos for the fast moving but hugely rewarding social media environment. Let’s start with a few statistics though. But it’s not just the volume of video being watched online that is attracting marketing budgets. The WMVC survey also found that 72% of businesses surveyed reported an increase in website conversion rates. In other words, not only is video becoming the dominant medium online, but it’s also one of the most effective drivers of sales. Unlike viral videos, social videos are not designed just for mass exposure but for generating the maximum amount of interest amongst a given audience on a given platform. This means modifying or tailoring individual videos, or even producing spin off content, to suit a given platform. Let’s take a look now at some of the big do’s and don’ts of social video planning, creation and activation. Do create a range of content: I’ve discussed the help, hub, hero approach to video strategy on this blog before and mentioned it earlier. As a methodology it is powerful. It’s crucial that your social video program doesn’t just create waves with big hitting brand ads but also fosters a dedicated online fan base through the use of how-tos and tutorials (help), as well as regular ‘magazine’ style content (hub). It’s these followers and subscribers that will ultimately be sharing your content with likeminded individuals on social media, helping you grow your online exposure amongst your target market. Do build a decent YouTube channel: If you are going to take online video properly then you need to start by thinking about your YouTube presence. This means creating a user friendly and well structured YouTube channel. It helps to think of your YouTube channel like a second website. Put time and effort into making it brilliant and promoting it properly and you will start attracting subscribers. Do think about video SEO: Creating videos that are optimised for search is as important as creating well optimised websites. Consider the fact that YouTube is the second biggest search engine in the world. Not only do well optimised videos appear high up in YouTube’s search results, but Google also favours video content in its SERPs, so by creating videos you’re automatically gaining an advantage over static text or image based content. Do consider live video: Live video has exploded in the last couple of years, with the success of apps like Periscope. A clear sign of the popularity is Facebook’s embracing of the format, when it recently announced it was treating live video as a separate format and would favour it over standard video in user’s news feeds. Do entertain your audience by telling stories: One of the easiest traps company’s fall into when they make videos for social media is to assume that they have a captive audience. Social videos need to be sharable and this means giving your audience what they want. A lot has been written about storytelling in content marketing (including by me) and it couldn’t be more pertinent on YouTube. If people aren’t entertained or informed they will switch off. It’s really that simple. Do have a solid activation plan: Uploading your videos to YouTube and then every other social media platform under the sun is not a marketing strategy. Good videos need a good activation plan if you are to get them in front of the right audience. This means realising the potential of all your owned, earned and paid media and integrating the right kind of content to the right channels. Don’t just opt for the biggest audiences: Facebook might have 1.79 billion users but that doesn’t mean they all want to see your content. Sure, some of them might, but you need to ask yourself if there aren’t more relevant and targeted platforms out there. For B2B companies this might mean ditching Facebook entirely for a platform like LinkedIn, which is more focused on the business community. Conversely if you sell jewellery or clothes then Facebook, Pinterest and Instagram will definitely be better options than LinkedIn. Don’t try to wing it month to month: A haphazard approach to content marketing is never a good idea and with online video this is especially true. Creating a steady and stream of well produced video content of consistent quality, requires a lot of planning. That’s not to say you can’t make videos that react to unpredictable events, but these should never replace the need for a strong and comprehensive content schedule. Don’t push your product or service offering in people’s faces: Although your social media pages and YouTube channel are forms of owned media, social media success is all about earned media and getting this means not being seen as an advertiser. Joe Pulizzi of the Content Marketing Institute has talked extensively on the power of not mentioning your product in your content and this is good advice. Think about building an audience not selling stuff to them. Don’t try and host everything on your site: As tempting as it is to think that all roads should lead to your site, it’s just not a practical strategy in the YouTube age. Although social referral traffic is up, research suggests YouTube does poorly compared to platforms like Facebook and Pinterest, so you need to treat it as a final destination for a lot of your potential audience at the top of the marketing funnel. The second reason is that YouTube videos are easy to embed in social media posts and blogs, meaning you’ll encourage a lot more sharing if people can easily access all your content on YouTube. Don’t create overly lengthy videos: Attention spans are short online and no more so than on social media. Creating long videos for platforms like Facebook will see viewers drop out. Content for platforms like Facebook, Instagram and Twitter should be short and to the point. You should also think about the fact that Facebook’s autoplay functionality plays videos without sound. If you want to grab people then the imagery should be enough to arrest viewer’s attention. Use of subtitles can also be a good tactic here as well.